The children's classic, The Hungry Caterpillar has been made into Story Prop Cards. As the doors of the Kamishibai Storytelling Theatre open, audiences will watch the little caterpillar, picture by picture, eat its way through a huge pile of goodies! The Story Props reveal the little caterpillar on its hungry journey before it builds a cocoon and then transforms into a beautiful butterfly! 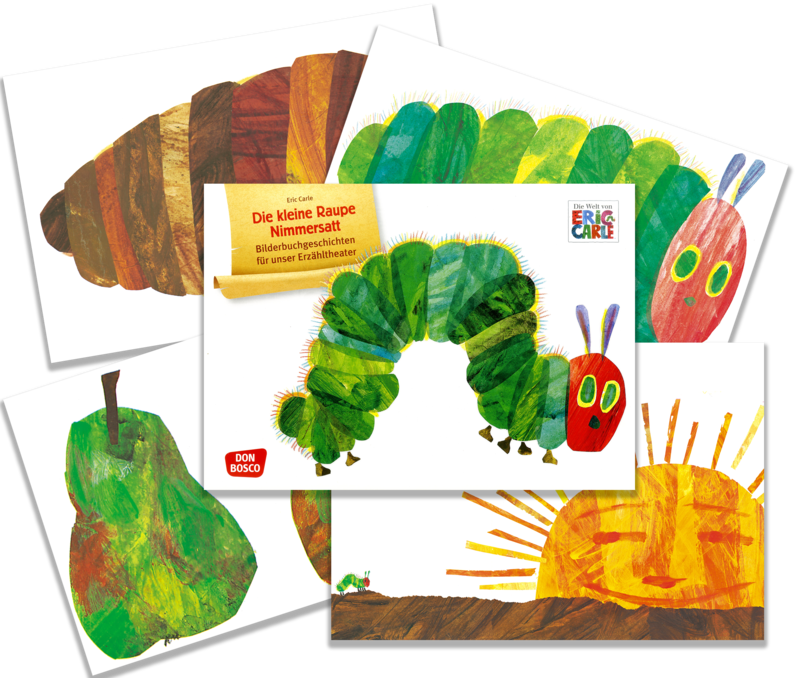 The Hungry Caterpillar Kamishibai Story Props take one of the most beautiful and successful children's stories, and use it's familiar images to encourage children to re-tell the story, develop their vocabulary, confidence and social skills. *This product has an information card which is in German, provided by early education publishers Don Bosco. The images themselves are without text and can be used for any audience, speaking any language.